ART - just do it! 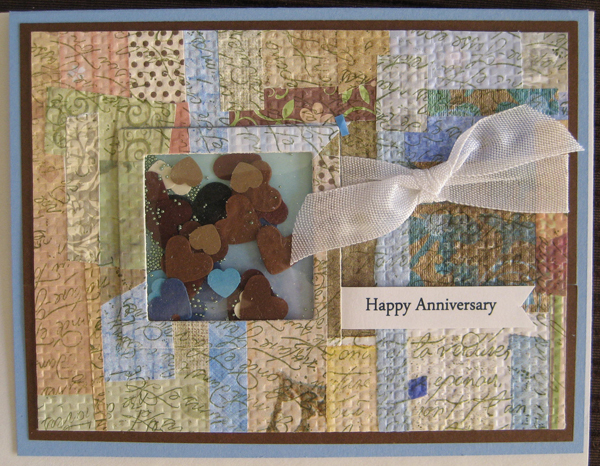 : A shaker card with hearts for our anniversary! A shaker card with hearts for our anniversary! 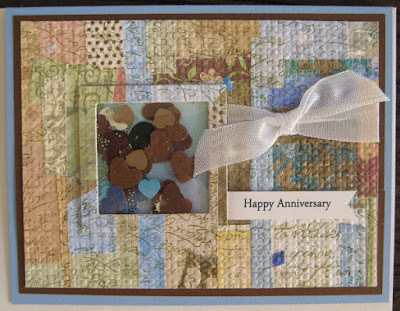 I used an embossed (Lattice - SU) collage background for this card. Collaging scraps is a fun activity which you can do anytime you have no project on the go or when your mojo is on strike. You can use almost anything as a substrate - junk mail, a flopped background or a ruined layer!! Just keep gluing scraps on until you have filled the whole area. 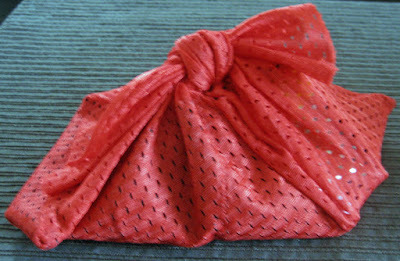 Once completely dry, you can stamp, sponge, emboss and even thermally emboss to make it more than the sum of its parts! !